Thanks for your help with our garage. The doors look great! We’re really sorry for the inconvenience caused by our cement contractors and can completely understand the trip charge. We will be sure to recommend you to anyone we hear needing doors. Joe, Thanks for the several door jobs you have done on our farm. We love having an attached garage after all these years. So happy we could help out with referrals to our neighbors and some family members. Thanks again! 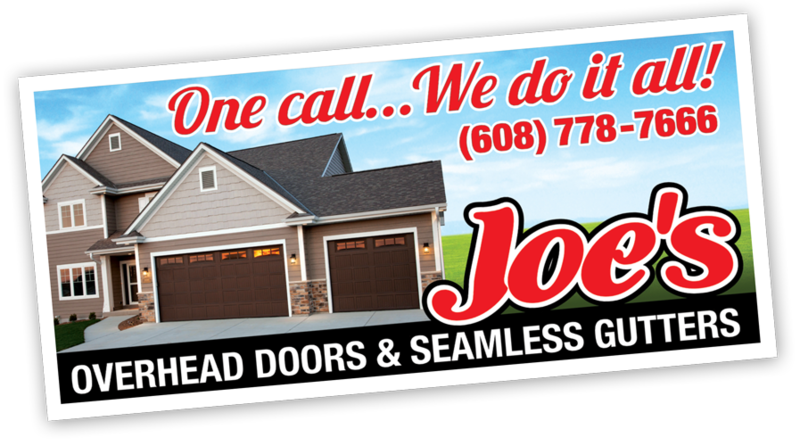 Thanks, Joe, for the fast and good service we received. It was very much appreciated. Joe, Thank you so much for making the 2 hour drive with 2 trucks to install our doors on such short notice. They came in so handy during the party. We are so glad you talked us into the windows. They let so much light in. We have received so many compliments and your help was so friendly and courteous.